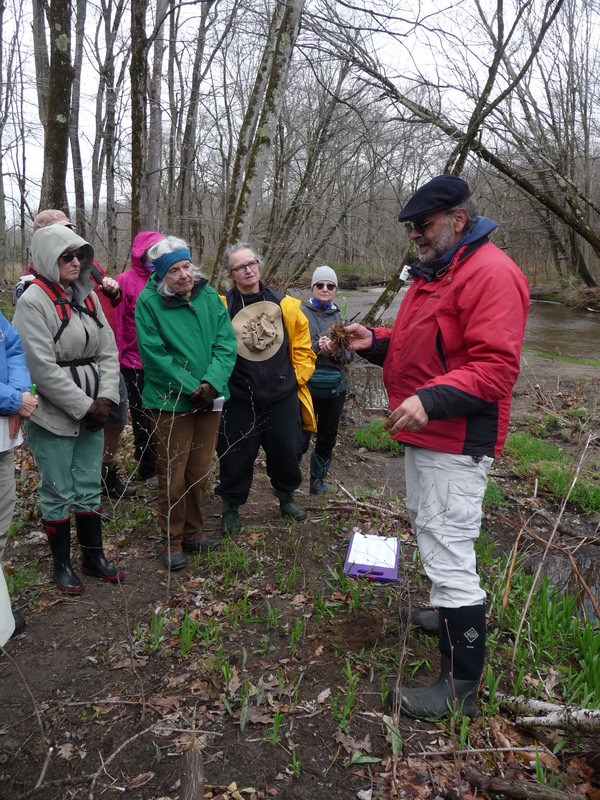 On April 29th, Hilltown Land Trust (HLT) held an Edible Wild and Invasive Plants event, in partnership with Kestrel Land Trust (KLT). 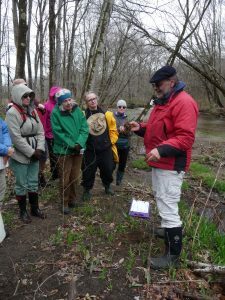 The inspiration for such an event first came about as a way for Hilltown Land Trust to assist the Westhampton Conservation Commission in training their volunteers to identify invasive plant species. With an educated volunteer pool, both organizations would have increased capacity to monitor their conserved lands. Adding an “edible” component to the training seemed like a fun way to better engage the participants. As the idea continued to evolve, it expanded to involve the general public, not just volunteers. A local organization, Grown In Westhampton, had been interested in collaborating with HLT on such an event in the past and was willing to sponsor the event and promote it on social media. The town of Westhampton, is one of the two towns where Hilltown Land Trust’s and Kestrel Land Trust’s service areas overlap. 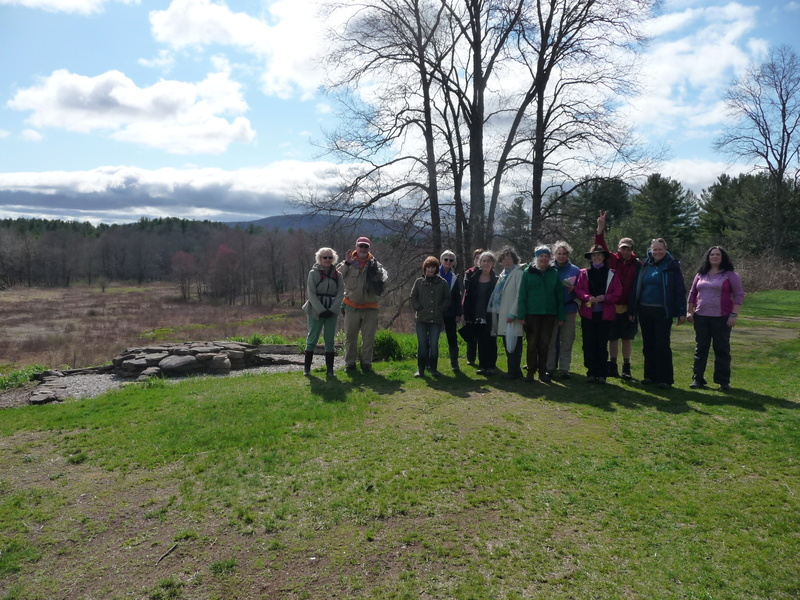 Since both are host sites for Terracorps Land Steward Coordinators, it only made sense for the two organizations to partner up to put on the best Edible Invasive Plants event this side of the Quabbin. So Alana and Jill of Hilltown Land Trust and Kestrel Land Trust, respectively, put their heads together and pooled their resources to find the best edible wild plants expert they could to lead this event, Russ Cohen. Russ Cohen is the author of Wild Plants I Have Known…And Eaten, a well-known book, popular among foraging enthusiasts and is one of the foremost wild edibles experts in New England, having taught about wild edible plants for over 30 years. Despite the morning rain on April 29th, the event couldn’t have gone better. Russ surprised the attendees with delicious treats of his own recipe, using the invasive plant known as Japanese Knotweed. The attendees consisted of foragers, nature enthusiasts, plant hobbyists, and other passionate outdoor-educators. Russ, as a speaker, was incredibly informative and engaging. The event invoked many discussions between other experts within the crowd and, upon its conclusion, was lauded with high praises from the participants.